Featured Video: Sonia De Los Santos sings and plays jarana at La Casa Azul Bookstore in East Harlem, NYC on July 11th 2015. Elena Moon Park on violin and vocals and Martin Vejarano on percussion. Featured video: “(“We Wish You Well”) by Mahlathini & The Mahotella Queens, accompanied By The Makgona Tsohle Band. Visit Debbie and Grenadilla at www.grenadillasings.com. Featured video: First music video from The Little Rockers Band’s CD Count Me In! Chris & Jessie imagine what life would be like in the olden days of the wild west. Featured video: Michael shows a class of young students how anything can make a sound. Featured video: “In Stillness” from Heidi Siegell’s album, In Stillness: Lullabies and Meditations for All Ages. Featured video: “Little Lap Dog Lullaby” by Laura Veirs from the album Tumble Bee. Stop action animation by Helen Woolston. This week’s guest DJ, Suzi Shelton, hosts a Smile in My Heart Episode, sharing songs that make her smile & feel the love! Featured Video: “Midnight Sun in the Arctic” by Elska. Listeners to Hilltown Families’ weekly radio show/podcast Hilltown Family Variety Show (HFVS) know all too well about the great independent kids musicians we’ve featured on the show over the past five years. For this summer we’re reviewing a collection of CD’s to entertain the family while traveling in the car to far off beaches, or your favorite swimming hole here in Western MA, featuring several musicians who have also been our guest DJs. 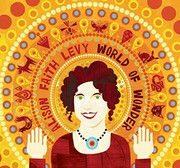 Alison Faith Levy, formerly “Sippy Alison” from the kindie band, The Sippy Cups, has released her debut album this spring, World of Wonder. In early May this year, Alison guest DJed the Hilltown Family Variety Show, putting together an excellent show about all things weather, including two cuts from this new album, “I Love the Rain” and “Eye of the Tornado.” Get a taste of the fabulous music off her new CD by listening to the podcast and check out the video we featured of the title track off this fabulous new album. 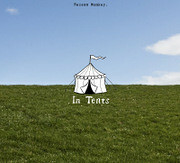 Load up the car pretend the family is running away to the circus with Recess Monkey’s newest CD, In Tents. This circus inspired CD brings in the voices of stellar guest musicians who have guest DJed the Hilltown Family Variety Show over the years, including Dean Jones and Sugar Free Allstars. And the 32-page story book, illustrated by Western MA’s very own children’s author/illustrator, Jarrett Krosoczka, will entertain the kids in the back seat while heading out on your big adventure. In late June, Jack, Daron and Drew will guest DJ the Hilltown Family Variety Show again this summer. Check back on June 23rd for the podcast and a peak at In Tents. Delicious! celebrates the delights of eating seasonal locally grown foods during all seasons of the year. 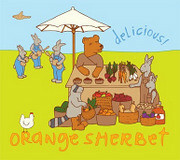 Orange Sherbet’s songs off of this new album celebrate farmers’ markets, gardening, the four seasons, and rice & beans… among many other celebratory songs about local food and the seasons. In late March this year Orange Sherbet guest DJed the Hilltown Family Variety Show, spinning tunes off this new album, including “Waffle Day,” “Garden Song,” “Springtime,” and the title track, “Delicious.” Give the podcast a listen for a taste of this new CD, and check out their featured video. 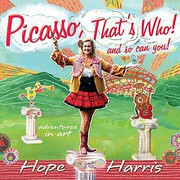 Hope Harris ♦ Picasso, That’s Who! Winner of the Parents’ Choice Silver Honor Award for her previous album, Cousins Jamboree, Hope’s newest CD, Picasso, That’s Who! is a celebration of visual artists from the 19th & 20th century. The CD is a lovely way for families to receive musical mini-lessons in art appreciation. Kids can discover many great artists, including Romare Bearden, Jackson Pollock, Paul Klee, David Hockney, Pablo Picasso, Grandma Moses, Alexander Calder, Henri Matisse, Claude Money and Georgia O’Keeffe. 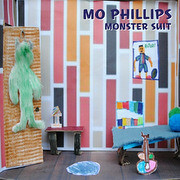 The family will love Mo Phillips fiery blend of Americana, soul and blues in his newest CD, Monster Suit, an album filled with music sometimes reminiscent of Western MA musical legends Woody and Arlo Gutherie. Mo plays classic acoustic rock ‘n’ roll influence by Neil Young and The Rolling Stones, on topics most families can identify with, like bad hair days and surprising facts about ducks. Stephen Simon and Bonnie Ward Simon, the husband-and-wife team behind Maestro Classics, guest DJed the Hilltown Family Variety Show in early March this year, calling their show “Classical Music Comes Alive.” Listen to the podcast and get the kids excited with their enthusiasm for sharing classical music with families. Their series of CDs began in 2004 as an outgrowth of their sold-out family concert series at The Kennedy Center with the Washington Chamber Symphony, for which Stephen served as music director and Bonnie as executive director. 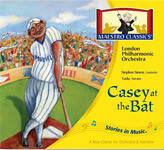 Casey at the Bat is a CD from the series that families can enjoy together while exploring classical music in similar fashion as the classic Peter and the Wolf. 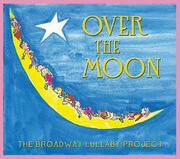 When the littlest one has fallen asleep on your family road trip, or it’s time for driving into the night, Over the Moon, a compilation of lullabies crafted together by a stellar cast of vocalists, Broadway composers, lyricists and producer, will speak eloquently to all listeners in the car. With piano and/or guitar, songs on this CD are about the love between parents and their kids, and the unique ways this love gets expressed. 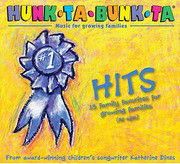 A pioneer of the “kindie” music genre, Katherine Dines newest CD, Hunk-Ta-Bunk-Ta, is a collection of her most requested songs over the past twenty years drawn from the eleven CD’s she’s released since 1992. Katherine’s songs tend to find the fun in everyday family life, along with softer inspirational songs. At the end of March this year, Katherine guest DJed the Hilltown Family Variety Show, sharing her life journey in song. The show gives listeners a glimpse into Katherine’s experiences, and features songs from this new album, including “In the Backseat,” “Goosebumps,” and “Imagination.” She also shared the video for her song, “All the Way Around the World,” which you can check out along with the podcast. MUSIC GIVEAWAY: Music Collection from Uncle Rock! Hilltown Families, the No Nap Happy Hour and Flywheel are proud to present a family concert with Uncle Rock as part of the Saturday Morning Music Party in Easthampton at the Flywheel Arts Collective! On March 10th at 10am Uncle Rock will rock the house and have all members of the family on their feet dancing away the winter blues! Fill up on free pancakes before the concert, and for a suggested donation of $5 per person ($10 per family), enjoy a fun filled morning with the family! Leading up to his performance we’re giving listeners of the Hilltown Family Variety Show the opportunity to enter to win Uncle Rock’s entire collection of music CDs & DVD. One lucky family will walk away with a fabulous collection to add to their family music/video repertoire! Find out how to enter to win below. Deadline to enter to win is midnight, March 9th! And the day of the performance while driving on over to Flywheel, be sure to tune into the Hilltown Family Variety Show (103.3FM WXOJ) from 9-10am as Uncle Rock will be our guest DJ! Encore on Sunday, March 11th from 7-8am and podcast anytime following Saturday’s broadcast right here at www.HilltownFamilies.org! Uncle Rock has shared stages with Joe Cocker, Vassar Clements and Hanoi Rocks. Hilltown Families has presented Uncle Rock here in Western Mass for performances at the Florence Civic Center in 2008 and at the Children’s Art Museum in 2007, and have had him as our Valentine’s Day guest DJ on the Hilltown Family Variety Show. And our friends over at Spare the Rock have brought Uncle Rock to the Northampton Community Music Center in 2009, the Music Meltdown in 2009/10, and to the Iron Horse in 2010 … Uncle Rock is no stranger to our area, and much admired by many families. Uncle Rock (a.k.a. Robert Burke), is a musician with a “rock of all ages” persona who blends an inventive rock sound for families. His offbeat approach, plus a dynamic live show, has won critical praise from the L.A. Times & the New York Times. Before his nephew dubbed him “Uncle Rock,” Robert Burke Warren performed as a bass player in many rock and roll bands, including international garage rock titans The Fleshtones. He portrayed the title character in Buddy: The Buddy Holly Story in London’s West End. He’s also co-written songs for multi-Grammy winner Rosanne Cash and Rock & Roll Hall of Famer Wanda Jackson. 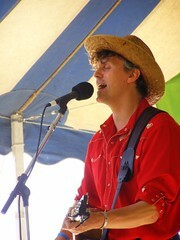 Uncle Rock’s CD, The Big Picture won a Parents Choice Award, and he was voted Best Children’s Performer of 2011 by Hudson Valley Magazine. Uncle Rock has participate in several collaborative efforts, including Healthy Food For Thought, which was nominated for a Grammy, and Many Hands: Family Music For Haiti, which has raised over 40k for Haitian relief! – www.unclerock.com. GIVEAWAY: 5 MUSICAL ADDITIONS TO YOUR FAMILY MUSIC COLLECTION! PLAYS WELL WITH OTHERS: Uncle Rock – AKA Robert Burke Warren – has lost count of the number of parents who have expressed relief and gratitude that a CD has been created that they can enjoy WITH their kids. The former globe-trotting bass player stumbled onto his most satisfying creative endeavor yet as a teacher’s assistant at the rural School Of The New Moon in Mount Tremper, New York, where Uncle Rock was born. UNCLE ROCK U: Uncle Rock U, a collection of 17 songs, explores the joy, excitement and imagination of childhood. The album also reflects Uncle Rock’s indie-rock background (former bassist with The Fleshtones), his theatrical gifts (the lead in the London production of Buddy: The Buddy Holly Story) and his knack for connecting with children (being a Dad himself, as well as a preschool teacher). THE BIG PICTURE: Shel Silverstein meets Buddy Holly! The eco-rock on Uncle Rock’s fourth CD is a salute to his musical heroes, with stylistic nods to Bowie, the Stones, Cat Stevens, and Johnny Cash. Cross-generational toe-tappin’ tunes for kids from 2 to 92! NUMBER 1 DVD: “Uncle Rock is a musical Icon in the Woodstock area,” reviews Amazon. When you go to one of his live concerts, the smiling faces and energy flows as much from the parents in the audience as from the kids. Number 1 DVD captures positive, hopeful energy through a live concert shot at the famed Utopia sound stage in Woodstock, NY, plus five videos. EXPRESS YOUR ELF: Express Your Elf is a holiday CD with a few surprises, including Uncle Rock’s versions of “You’re a Mean One, Mr. Grinch” and “It’s the Most Wonderful Time of the Year,” plus some rockin’ originals! Sure to be a welcome addition to your holiday CD collection! IT’S THAT SIMPLE! — Deadline is Friday, 03/09/12 @ 12midnight (EST). Rani Arbo says the band is ready to party with the Valley: "Nonotuck knows how to cure the midwinter blues! Stir together a handful of musicians and a heap of kids and parents, pour into a beautiful old church, season with fund-raising goodwill, and presto: a party!" For the third year in a row, Hilltown Families is a proud sponsor of the Nonotuck Community School Winter Family Concert Series. This year the school ends their concert series with a family concert with Rani Arbo & daisy mayhem, “one of America’s most inventive string bands” (Boston Herald)…and we have a family 4-pack of free tickets to giveaway to one lucky family! Proceeds from the performance go to benefit Nonotuck Community School, a local non-profit preschool! Deadline to enter to win is 02/29/12 by 7pm (EST). Find out how to enter to win below. The NCS Winter Family Concert Series is an annual three-part Winter Family Concert Series hosted by Nonotuck Community School. The 2012 season started off with a family concert with The Nields in January, followed by A Family Dance Party with DJ Joan Holliday in February and Rani Arbo and daisy mayhem in March. The family concerts take place at The First Churches of Northampton (129 Main Street). Proceeds from this concert series will go to benefit Nonotuck Community School, a nonprofit parent cooperative that provides early education and care for children aged 15 months to 5 years old, and is located in Florence, Massachusetts (221 Riverside Drive, 586-5996). For more information visit: www.nonotuck.org or call 413-586-5996. IT’S THAT SIMPLE! — Deadline is Wednesday, 02/29/12 @ 7pm (EST). On Saturday, February 11th, Northampton Center for the Arts (17 New South Street, 3rd Floor) will host a FAMILY DANCE PARTY from 10am-12Noon with DJ Joan Holliday from 93.9 FM The River, co-sponsored by Hilltown Families… and we have a family 4-pack of tickets to giveaway to one lucky family! Deadline to enter to win is 02/08/12. Find out how to enter to win below. Families from throughout the Pioneer Valley will don their dancing shoes at this benefit for Nonotuck Community School. Come join kids of all ages under the disco ball and groove to a mix of classics, new tunes, and kids favorites at this all-for-the-family dance party! “I’ve loved music since I was an infant (a peace and love British invasion child of the 60s! ),” says Joan Holliday. “As a radio DJ at 93.9 WRSI The River, and an events DJ for almost ten years, I am especially excited to get the kids dancing to benefit Nonotuck! It’s fun for a great cause, and we’re gonna fill that dance floor! Hilltown Families is a proud sponsor of the NCS Winter Family Concert Series, an annual three-part Winter Family Concert Series hosted by Nonotuck Community School. 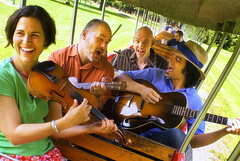 The 2012 season started off with The Nields in January, followed by A Family Dance Party with DJ Joan Holliday this month, and Rani Arbo and daisy mayhem will conclude the series in March. Proceeds from this concert series will go to benefit Nonotuck Community School, a nonprofit parent cooperative that provides early education and care for children aged 15 months to 5 years old, and is located in Florence, Massachusetts (221 Riverside Drive, 586-5996). 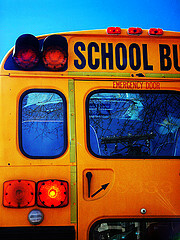 For more information visit: www.nonotuck.org or call 413-586-5996. IT’S THAT SIMPLE! — Deadline is Wednesday, 02/08/12 @ 7pm (EST). Enter to win a family 4-pack of tickets to see The Nields in Northampton on Saturday, Jan. 21st at 10:30am. Deadline to enter to win: 01/18/12 by 7pm (EST). Details below. For the third year in a row, Hilltown Families is a proud sponsor of the Nonotuck Community School Winter Family Concert Series. This year the school is kicking off their concert series with The Nields, and we have a family 4-pack of free tickets to giveaway to one lucky family! Proceeds from the performance go to benefit Nonotuck Community School, a local non-profit preschool! Deadline to enter to win is 01/18/12. Find out how to enter to win below. Nerissa and Katryna Nields grew up singing folk songs in the kitchen and in the back seat of the family car. Katryna learned to sing melody with their father, eventually making her an ideal front person for the band. Nerissa, on the other hand, tackled the harmonies; with that skill, she provided a natural counterpoint to her sister’s vibrant lead. As a duo, the sisters have toured nationally for years and been the darlings of the coffeehouse/festival scene, with tunes ranging from off-the-hook idiosyncratic to kicking to heartbreaking. They were a part of Lillith Fair, and have shared the stage with Natalie Merchant, Suzanne Vega, Sarah McLaughlin, Dar Williams, The Indigo Girls, James Taylor, Joan Baez, the Band, 10,000 Maniacs, Billy Bragg, Dan Zanes and countless others, all of whom informed and enhanced their musical repertoire. A most recent influence on their music is children. “Having children has brought us back to our roots in a powerful way,” says Nerissa. “I’m much more drawn to the honesty of folk music, the simplicity of it. My kids love singing songs from Sister Holler. And I love how, when we sing these ‘Nerissa’ songs in concerts, everybody sings along, even though it’s the first time they’ve heard them. They’re songs that really invite the listener into the music making process.” Find more information about the band at www.nields.com. The NCS Winter Family Concert Series is an annual three-part Winter Family Concert Series hosted by Nonotuck Community School. 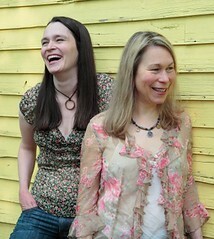 The 2012 season starts off with The Nields in January, followed by A Family Dance Party with DJ Joan Holliday in February and Rani Arbo and daisy mayhem in March. The family concerts take place at The First Churches of Northampton (129 Main Street) and the Dance party will be hosted at the Northampton Center for the Arts. Proceeds from this concert series will go to benefit Nonotuck Community School, a nonprofit parent cooperative that provides early education and care for children aged 15 months to 5 years old, and is located in Florence, Massachusetts (221 Riverside Drive, 586-5996). For more information visit: www.nonotuck.org or call 413-586-5996. IT’S THAT SIMPLE! — Deadline is Wednesday, 01/18/12 @ 7pm (EST).